Please note: The ring in the photos is sold. 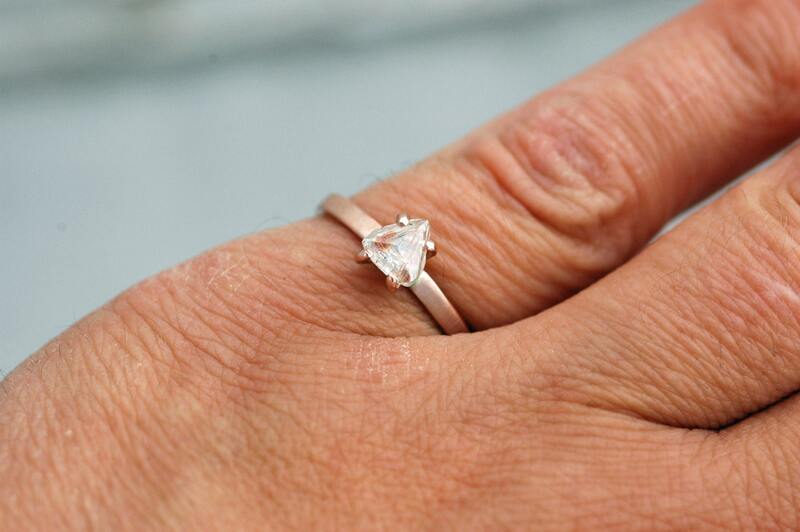 Your ring will be built with a diamond that will be specifically sourced to your specifications. The photos are used to give you an idea of these rings' appearance when built. Please be sure to hit 'zoom' in the lower right-hand corner of each photo- there is tons of detail in this stone that cannot be seen from the regular-sized photo. I have built this ring around a gorgeous uncut diamond. The triangular form, and fascinating surface texture, are parts of the diamond's natural appearance- it has not been worked nor cut in any way. 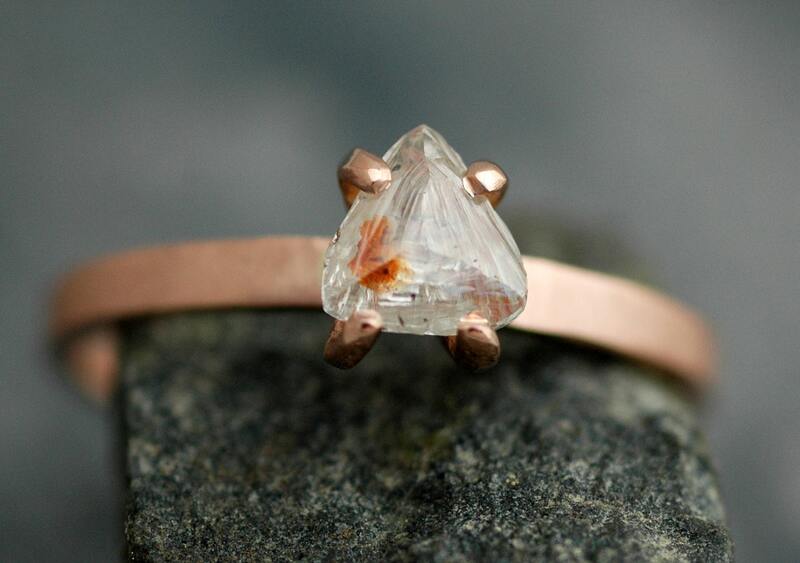 When a diamond forms in this triangular shape, it is called a macle. 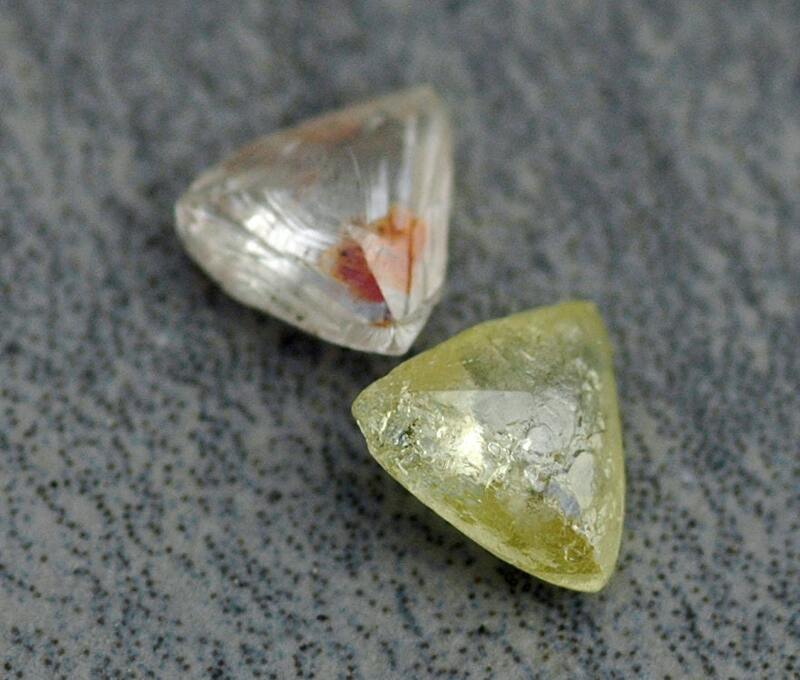 The photos cannot show the natural glitter of these stones as well as can be seen in person. These stones are truly top-quality, and absolutely breathtaking to look at. 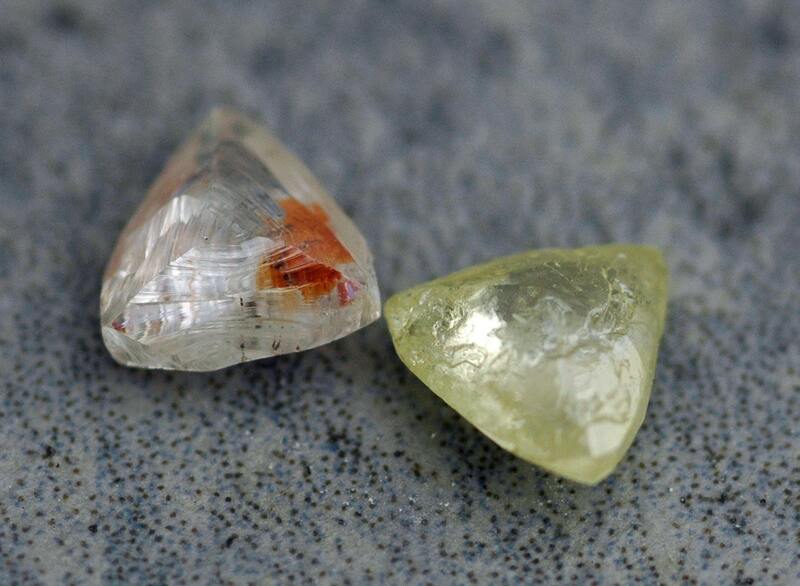 Larger diamonds are available at an additional cost; please contact me should you wish a larger stone. As always, my raw diamonds are all certified conflict free, and my gold is all recycled. Macles come in all colours, including clear- please contact me for a custom-sourced stone. 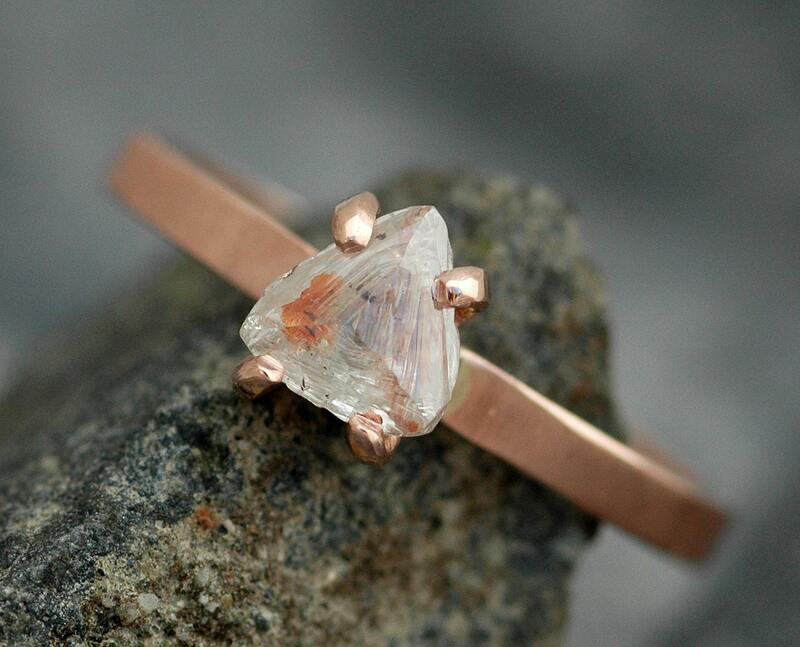 The band on the ring seen here is 2mm wide, and is 14k rose gold. It has been given a high shine finish. Available finishes include hammered, high-shine water hammered, high-shine, matte lustre, or any of the other textures you see in my shop. The prong set on these rings is hand-built. Other gold choices include 14k or 18k yellow gold, 14k white gold, and 18k rose gold, as well as platinum. As I do not deal in plated metals, all of my gold is solid. I do not do rhodium plating onto white gold- I prefer the warm white of the metal. Want a matching wedding band? Please get in touch for an revised invoice. Please contact me through my shop, or at treloar [!at] telus.net if you would like to discuss having me source your perfect macle diamond for you.